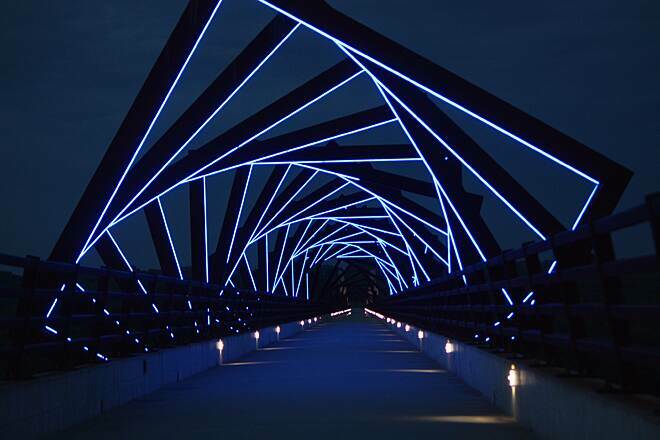 The High Trestle Trail is one of the most pristine and highly trafficked trails in Iowa—even at night. 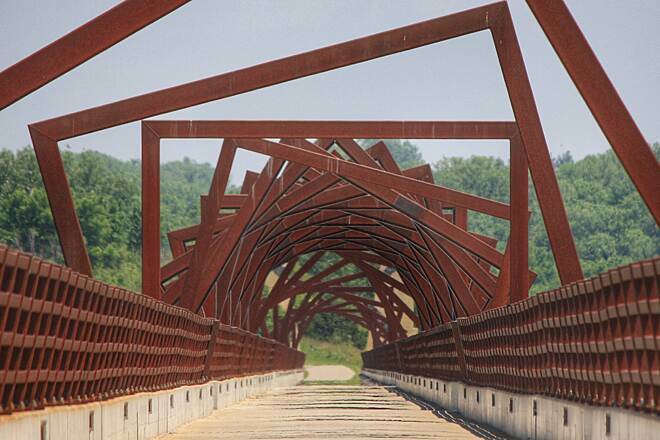 The trail’s popularity is largely due to its famous 130-foot-tall High Trestle Bridge, which boasts one of the most well-known rail-trail art installations in the country, From Here to There. Wrapped in 43 twisting, diamond-shaped steel ribs lined with LED lights, the bridge elicits the sensation of traveling down a mine shaft—a nod to the area’s coal-mining history. 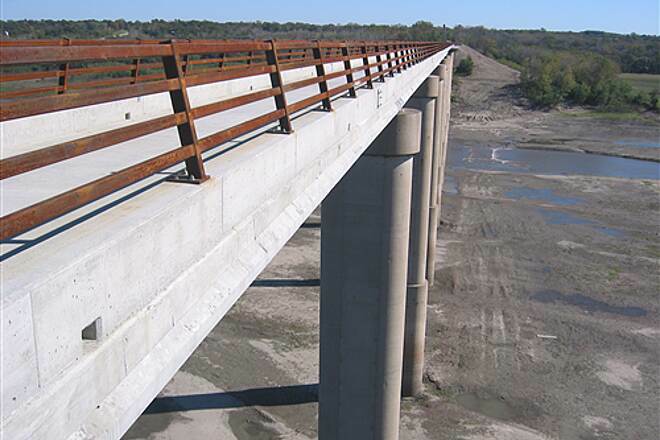 For individuals strictly interested in viewing the high trestle bridge (note that the trail is open 24 hours a day), there are two ideal entrance points. 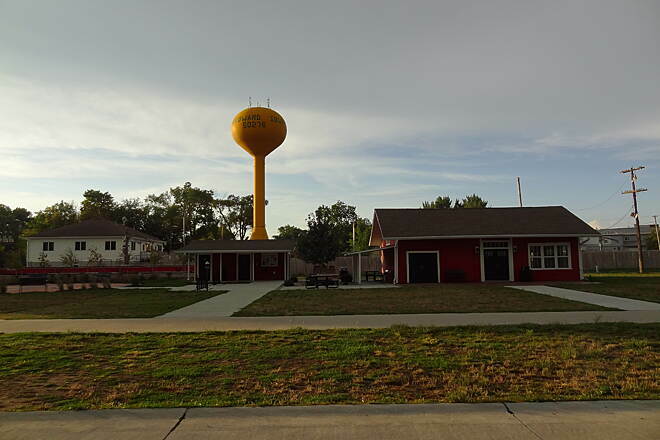 One, with lots of parking and a historic rail house, is located at the trail’s northern endpoint in Woodward. The other—significantly closer than the Woodward access point—is a small parking area just off the trail outside of Madrid. 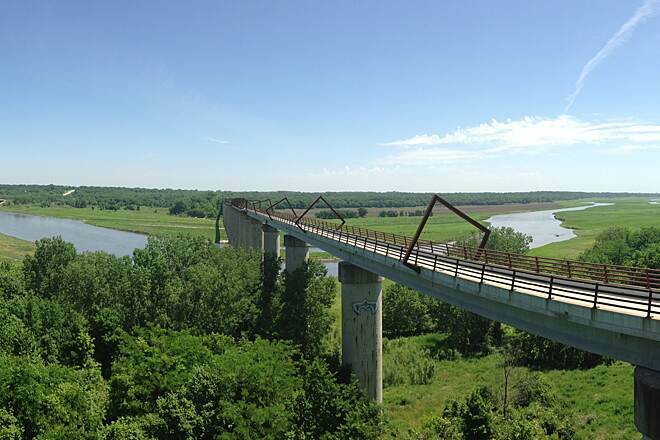 If you’re interested in traveling the entirety of the High Trestle Trail, the best place to start is at the west end in Woodward. 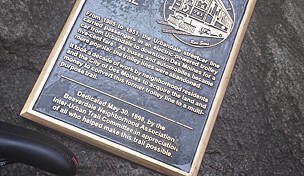 Exhibits inside the former rail house explore the history of the disused line the trail now inhabits, and art and local signage pay homage to both the trail and the area’s railroad days. 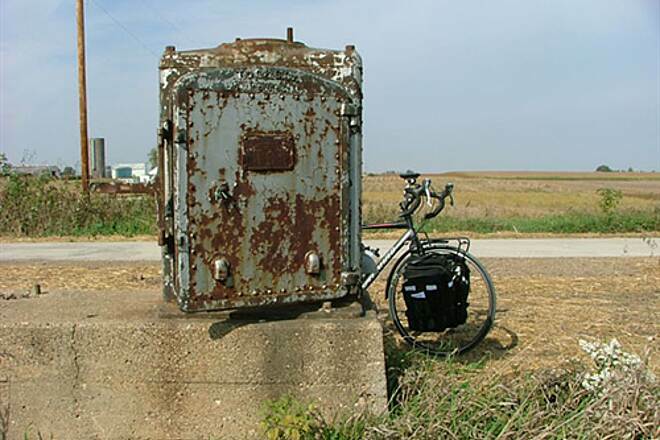 Heading east, the route takes you down a wide concrete path with typical Iowa farmland on either side. 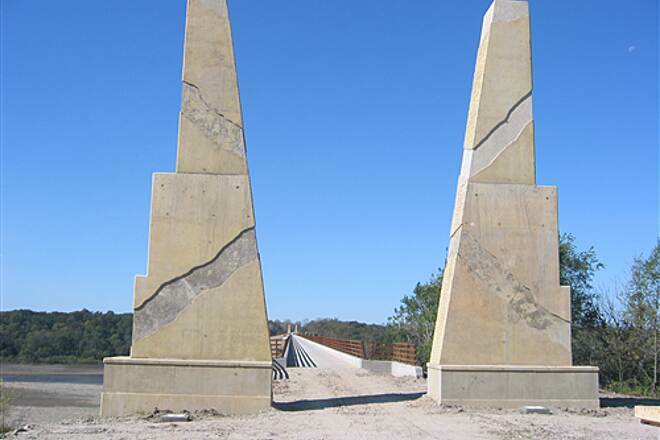 As you get closer to the Des Moines River, the landscape becomes more wooded and then opens up to the entrance of the trestle bridge, where you are welcomed by large concrete decorated columns—the beginnings of the art installation From Here to There. 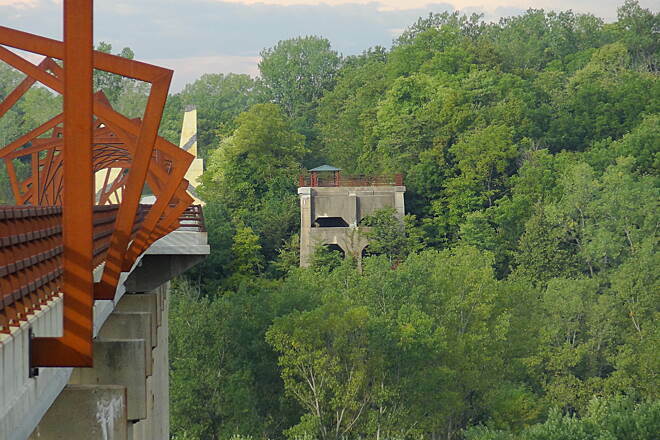 Before entering the bridge, look to your left for a path that leads to an overlook; here you can see a breathtaking view of the trestle as it stretches out over the river. Entering the bridge itself, you’ll be treated to another fantastic view as you are suspended higher and higher out over the river. 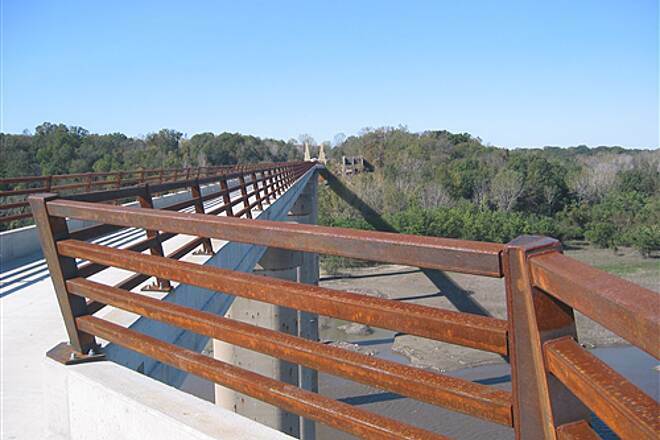 The bridge’s most notable feature is its collection of steel beams shaped and positioned to give the illusion of gliding movement if you’re bike riding below them. 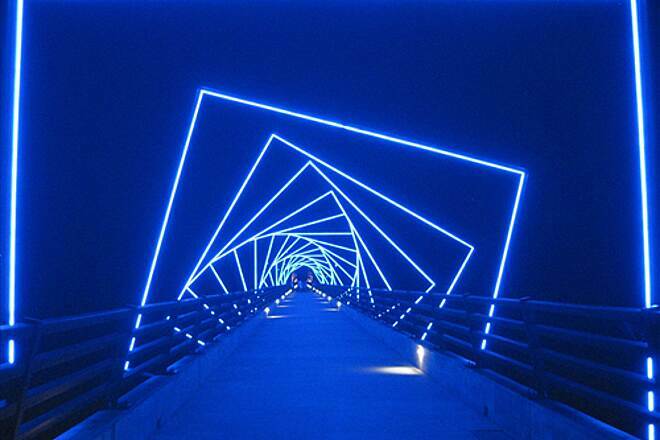 At night, the beams are lined with glowing blue lights that create an otherworldly experience. Past the bridge, the trail continues straight through forested areas and farmland before bending slightly and heading through the middle of the town of Madrid. Here, you’ll find multiple spots for refreshment along the trail. Note the small tunnel decorated with trail- and railroad-themed paintings. Leaving Madrid, you begin a long, straight stretch to Slater, passing by the backs of farmhouses, over small creeks, and—depending on the season—by expanses of wildflowers that grow in abundance along the trail. In Slater you’ll also find a couple of spots with shelter, restrooms, and picnic tables for rest and respite. 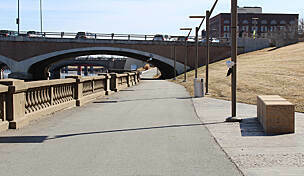 At Carol Street and First Avenue North, the trail makes a sharp right turn and heads southwest along the town’s western edge. 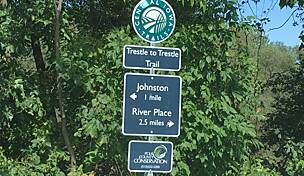 Here you can also head straight on First Avenue and then turn left onto the 25.8-mile Heart of Iowa Nature Trail which heads east to Rhodes. 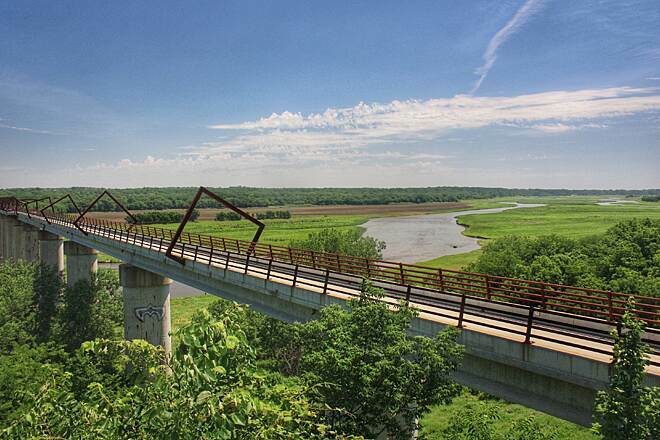 Back on the High Trestle Trail, you’ll pass baseball diamonds, a pool, and a park to your right. You’ll then travel through a short expanse of open land outside Slater before entering Sheldahl. 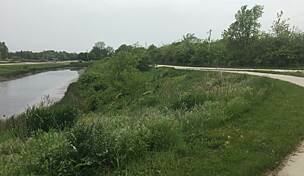 Continuing southward, you’ll pass through more farmland and along blocks of crop fields, after which the trail follows Northwest 58th Street through flat Iowa cropland for several miles. 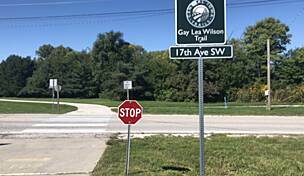 Luckily there is a small oasis with a restroom, water, and a covered seating area just before the trail turns slightly east and heads toward Ankeny. From here, you’ll travel through marshy-looking farms as you pass through a stretch just a couple of miles northeast of Saylorville Lake. 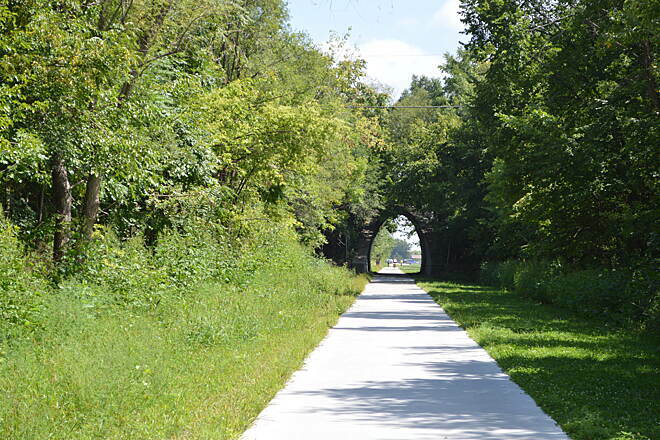 The trail runs diagonally through Ankeny—where farmland is replaced by neighborhoods and businesses—ending about halfway through the town. 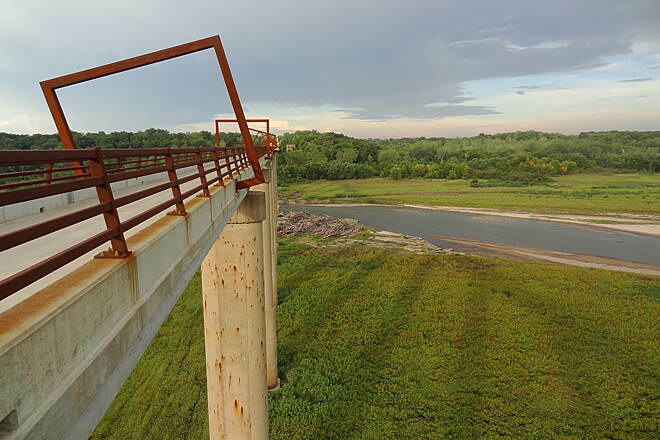 From Woodward and heading west, a new trail project is underway to connect the High Trestle Trail to the 89-mile Raccoon River Valley Trail. 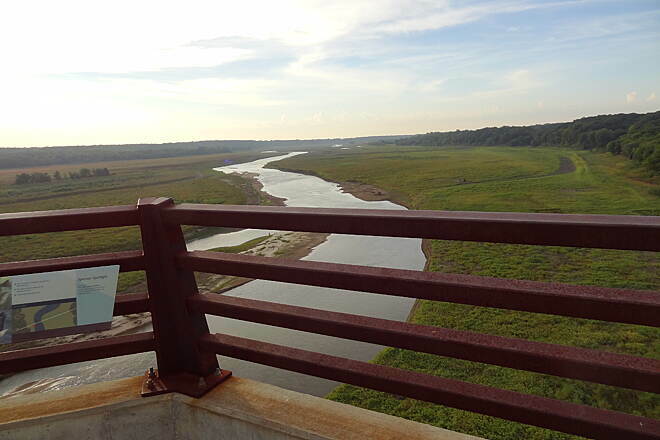 The first 1.5-mile section of this connector, referred to as the "Let's Connect Trail Project," opened in Perry in 2018. 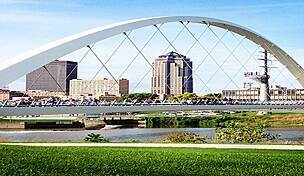 The second phase of the project, anticipated to begin in 2019, will be located in Woodward. 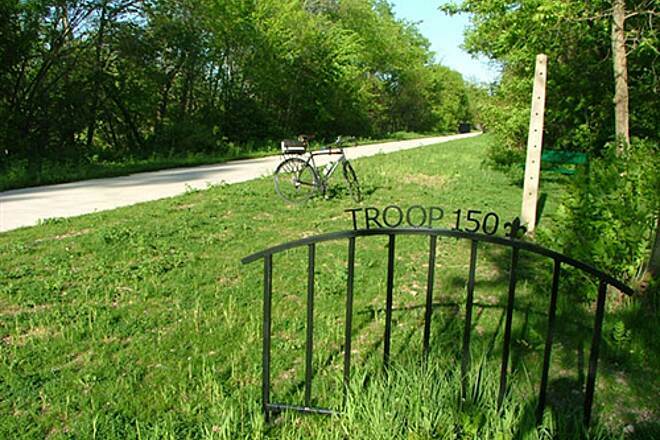 To reach the western trailhead in Woodward from Des Moines, head northwest on IA 141 and take Exit 138 for IA 210 E toward Woodward for 0.4 mile. Turn right (north) onto State Route 210 E/ N. Main St., and go 1.7 miles. Turn right into the parking lot and trailhead after Railroad St.
To reach parking on the eastern side of the trestle bridge from SR 17 heading north, turn left onto E. First St. in Madrid, and go 0.5 mile. Turn right onto N. Locust St., and then make an immediate left onto W. North St. After 0.3 mile, continue on IA 210 W/334th Road. Go 1 mile, and turn left onto QF Lane. 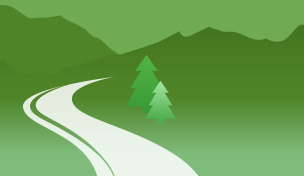 After 0.5 mile, look for parking on the right immediately after crossing over the trail. 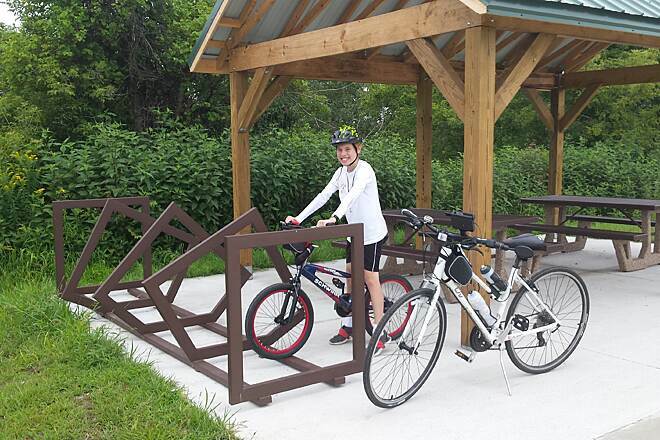 The closest available parking for the eastern endpoint in Ankeny is a little less than 1 mile along the trail. To reach the parking lot from SR 415 N/SW State St., turn right onto W. First St., go 0.7 mile, and turn left onto NW Ash Drive. After 0.2 mile, turn left into the trailhead parking lot. 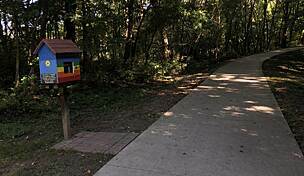 Head southeast along the trail for just less than a mile to the endpoint at SW Railroad Ave. and SW Ordnance Road. I've ridden all but a section between Slater and just South of Sheldahl, and have LOVED it. 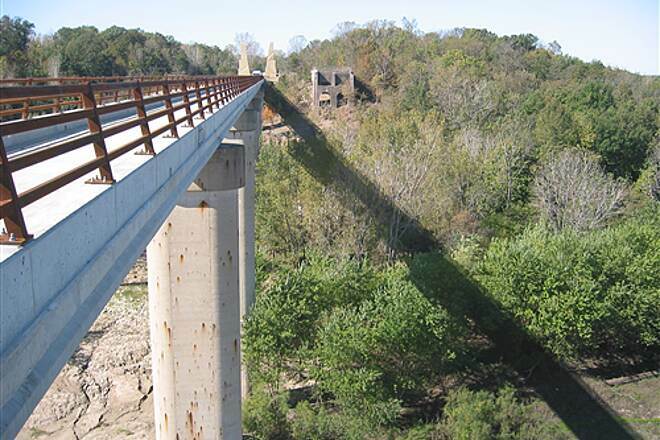 It's a nice well kept trail and the bridge and scenic overlook offers some spectacular views, especially when riding under a full moon or in the fall time with the leaves! If you're on it at night, PLEASE HAVE FRONT & REAR LIGHTS (especially walkers)! It's hard as a biker to see walkers that have no light at all and we really don't want to hit you. 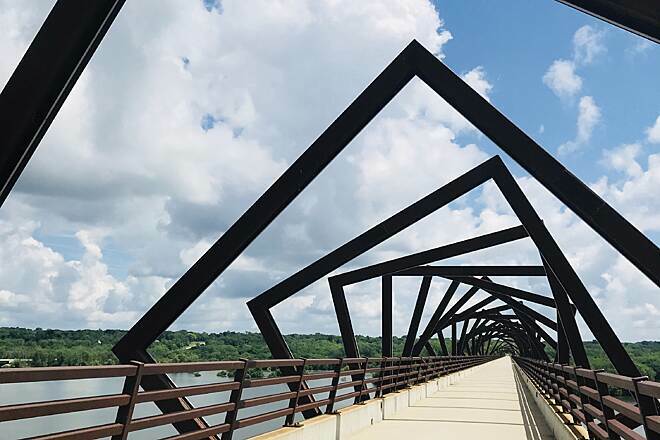 I've been across some pretty spectacular bicycle bridges such as the Bob Kerrey Bridge over the Missouri between Omaha and Council Bluffs, the Big 4 Bridge in Louisville and the Purple People Bridge in Cincinnati but Iowa's High Trestle is hands down the best. 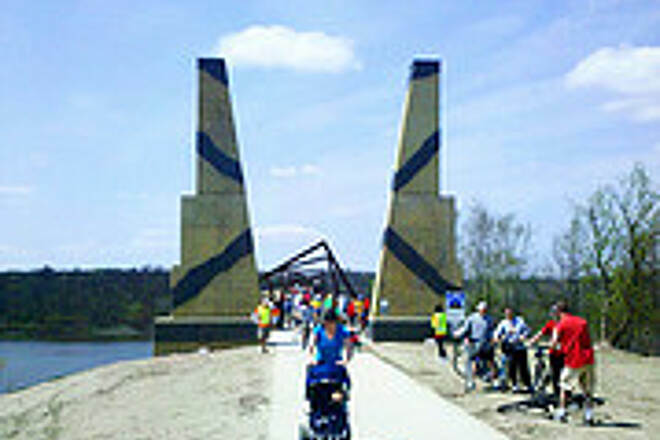 The bridge is the centerpiece of a beautiful paved, flat and fast trail. If you can, go at sundown and see the blue lights come on. It's so special that my wife and I are planning to move here so that we can ride it every day. We had heard good things about this trail, but it has far exceeded our expectations! Thank you Iowa! This trail is great, well kept and scenic! This ride was my second trail ride in Iowa, my first one being the Raccoon River Valley Trail. Outstanding trails! 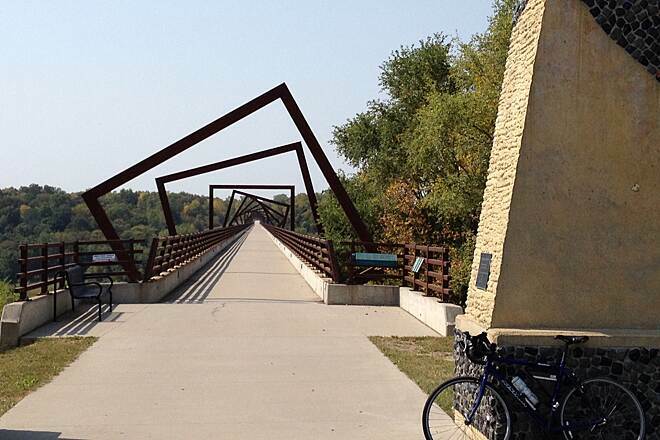 The Trestle Bridge is a great reward for pedaling 20 or so miles. We started at the town of Ankeny, trail end. It felt like it was slightly up hill most of the way. It may be a cycling illusion that it is always uphill, but I would try coming from the other direction next time. We stopped at the town of Slater and ate lunch at the Nite Hawk Bar and Grill, right on the trail. There were at least 30 bikers eating and drinking here. We had some sandwiches and hit the trail to the town of Woodward to finish our ride. I wish we has saved our appetite to eat instead at the Whistlin' Donkey at the end of the trail. The food smelled awesome from the trail. Many bikers already there eating, drinking and listening to music. I really wish my state had trails like this! You must ride this trail if you get the chance. I rate this trail for beginners and up. My wife and I rode this trail in May and what a gem we discovered. We rode from the west trail head to the east and back. The trail is level and has many great scenic views along the journey. The trail is all asphalt and the trail is much wider then what we are typically uses to traveling on. 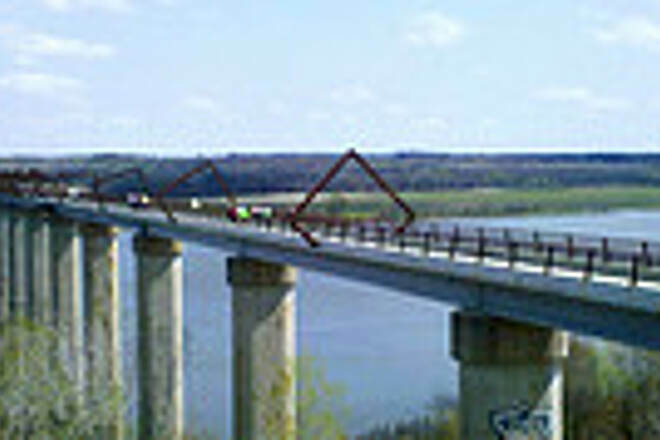 The high point is The High Trestle. Offering spectacular views during the day Even more spectacular in the evening. The lights are blue and no picture can do it justice. You need to experience the trail and trestle on your own. The trail at night also offers the sounds of crickets, frogs and a host of other night life from way below. The evening air was cool and with a balmy breeze.On our trip the trail was mildly traveled during the day and our return trip to the Trestle in the evening. We found the travelers to be very pleasant and helpful. We highly recommend this trail to be visited both during the day and even better in the evening. Excellent trail, rode Slater to Woodward and back, ended up being too short and fast, really should have started from Ankeny and done 50 mile roundtrip. So heavily used that has great facilities along the way including restaurants or food shacks, even bike shop in Madrid. These towns obviously care about the trail and the potential customers passing through. 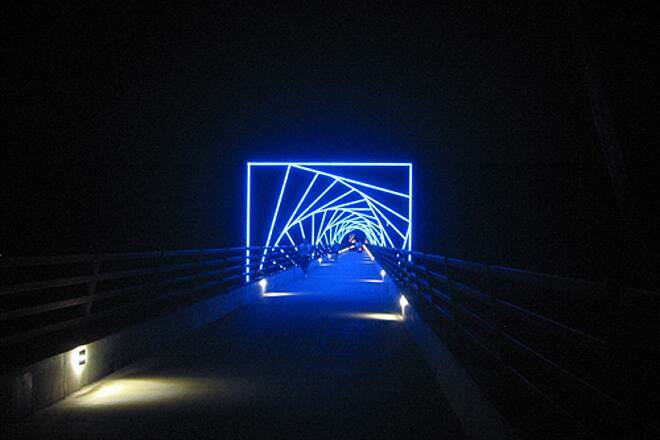 If riding during the day worth going back to see the High Trestle Bridge at night. Can park a mile away and walk in, or if biking for heaven's sake have lights on. Only downside is apparently a lot of the locals don't believe in bike lights and it is a miracle more accidents don't happen after dark with all the bikers, walkers, skaters, and skate boarders. 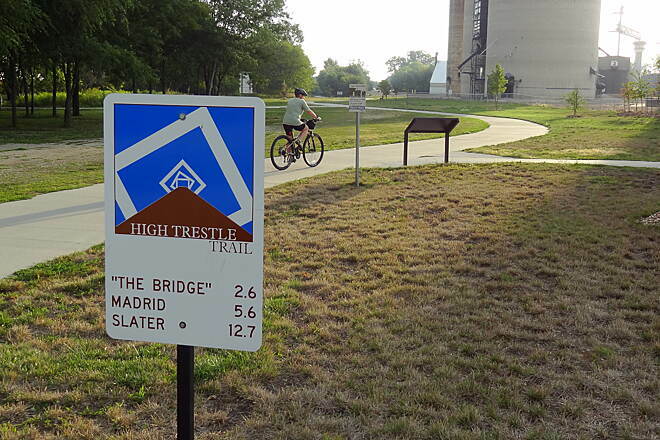 Hope to see this connected to Raccoon River trail soon and also the trails to east to fully connect with Marshalltown, then it would become a truly amazing trail system and great boon to many small towns. This trail is in outstanding condition. The scenery is beautiful on both sides, left and right. I began at Slater and headed west. At mile 9.2 your breath will be taken away by the stunning beauty of both bridge and view. When you get to Woodward, grab a beer at the local watering hole just at the end. The best part of the ride...very few people. My advice is to go during a work day in the summer. If you're anywhere near the area, you will want to cross the trestle just after sunset, when the lights on the bridge come on. The only bad news is that everyone agrees with me, so on lovely summer nights, they all show up and the bridge gets quite crowded. When five pedestrians stroll leisurely across side-by-side, it's difficult for a cyclist to get by! The trail apart from the trestle and very near the trestle is very nice and well-maintained, but not especially spectacular as it runs between farmers' fields. There are several small towns along the way, with a few popular eating places. 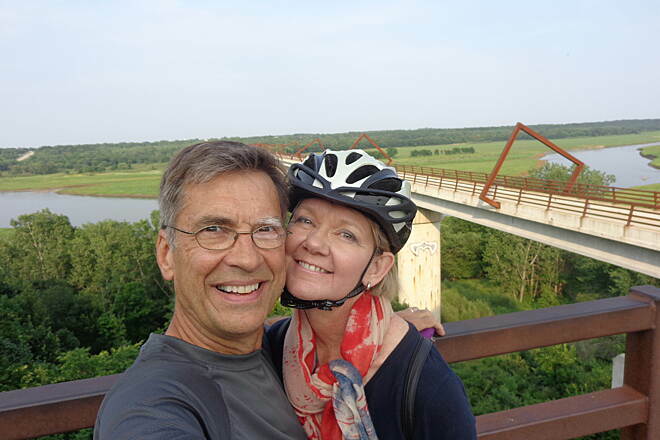 My wife, Linda, and I rode the High Trestle trail from Ankeny to the Trestle on Friday, June 24 and from Woodward to the trestle on Saturday, June 25. The trail's condition is very good to excellent, as attested to by the occasional rider who was using it for training. 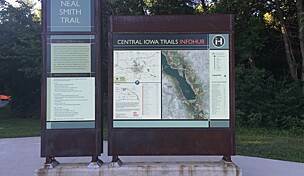 Going northward, the trail runs mostly uphill to Crocker; downhill for maybe a mile or two to a bathroom known as the "Oasis"; then 4.2 miles uphill to Sheldahl before turning west to the trestle. Be aware that the grades are noticeable; your highest gear will serve you well for much of the ride from Sheldahl to Ankeny. 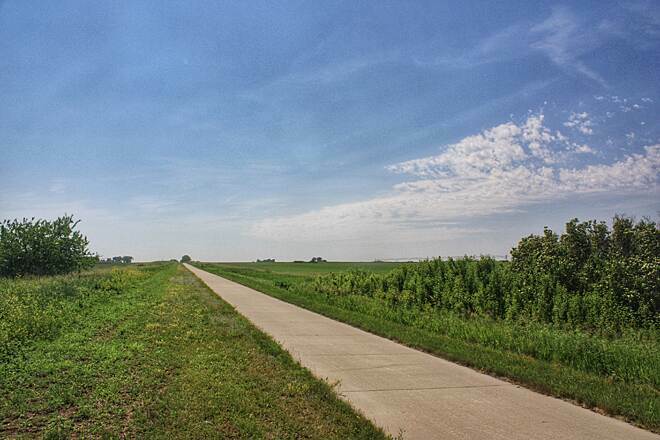 The trail from Ankeny to Sheldahl runs largely through a sea of farmlands. The trail between Sheldahl and Woodward, to me, seemed considerably more scenic. Due to the bridge's presence, it was also a lot busier. Both days we were there, it seemed as if dozens of people -- maybe even a hundred -- had walked or ridden from the Trestle's bookend towns-- Madrid, 2.5 mi to the east, and Woodward, 2.6 miles to the west-- to the Trestle. Still more were hanging out at two trailside "true biker" bars, one in Woodward and in Madrid. 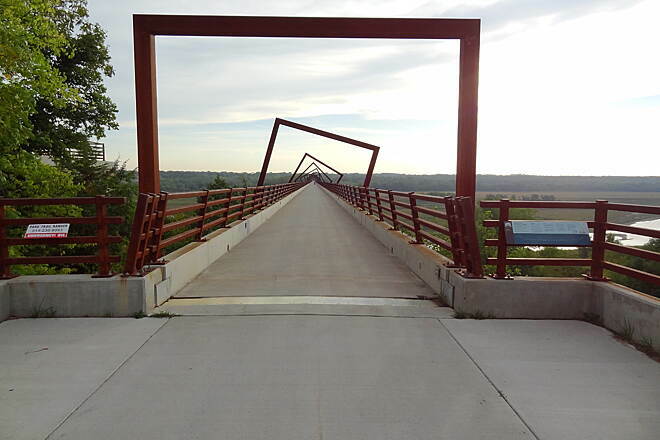 The bridge is absolutely worth seeing-- and this coming from a reviewer who's ridden the rail-trail trestles near Meyersdale, PA and Farmville, VA. Do visit the bridge in the evening if you can as well as during the daytime. We came back to Woodward a second day, at 8 pm, because we started in mid-afternoon in Ankeny and didn't have time to complete the entire trail before sunset. 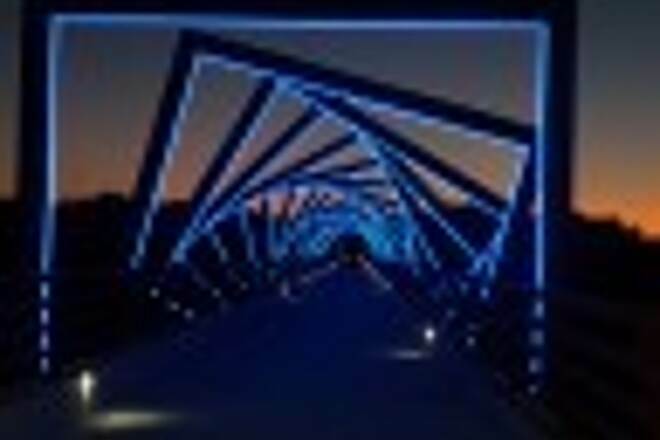 It was fortuitous that we did: the large, rectangular finials that overarch the trail in the bridge's midsection have vividly blue lights that are lit right around sunset. It's quite an effect. And you won't even notice that you're hanging out on the bridge with maybe 150 of your closest friends and neighbors. Well, not that much. Some of the riders that we met on the Trestle on Saturday evening were riding bikes with head lamps and tail lights. 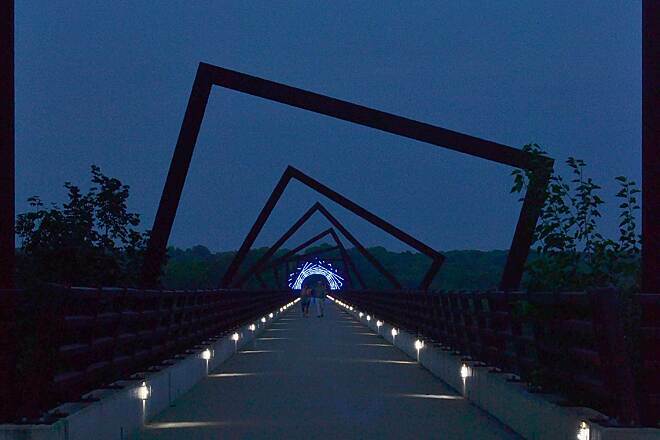 Unlike most rail trails, the High Trestle Trail allows for nighttime riding. Apparently, there are a fair number of people who do just this. We parked at the Delander Trailhead in Madrid and cycled to Woodward and back. The trail was in excellent condition – 10 ft wide, flat, and smooth. There were benches all along the trail. 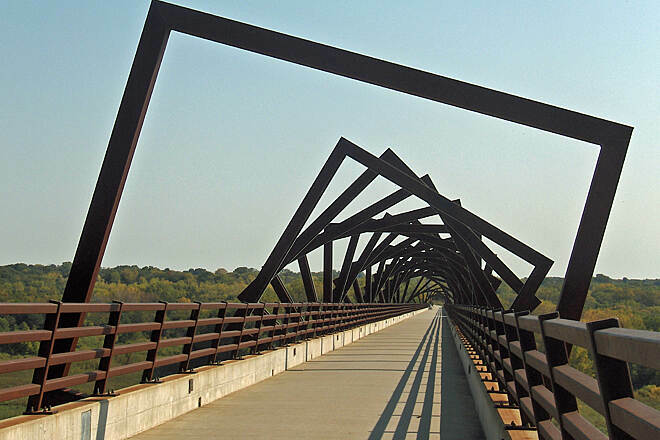 The High Trestle Bridge is a stunning design raising high above the Des Moines river. 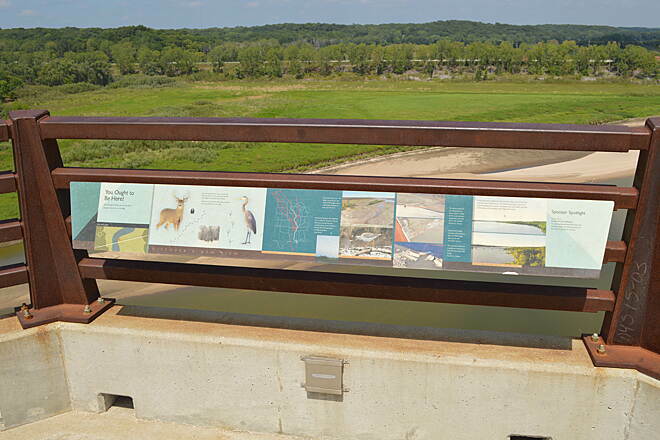 There are interpretive panels along the half-mile bridge explaining the history of the area and the design of the bridge. 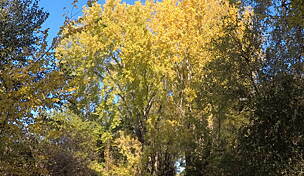 Woodard has a nice, small park and is a good place for a lunch stop, water and restrooms. Consider cycling one block into Woodward and visit the Toy and Hardware Museum. The hours are erratic but the museum holds the personal collection of an amazing array of “stuff” of a long-time resident of Woodward. In Madrid, there are a couple of places to stop but most seemed to be opened only the weekend. 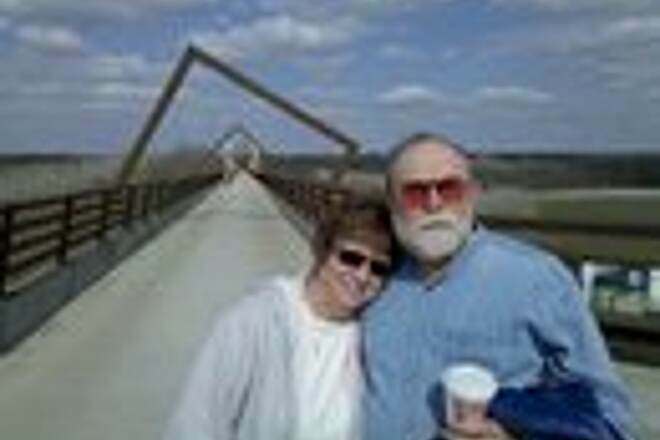 We are full-time RVers and have cycled many rails-to-rails during our travels. 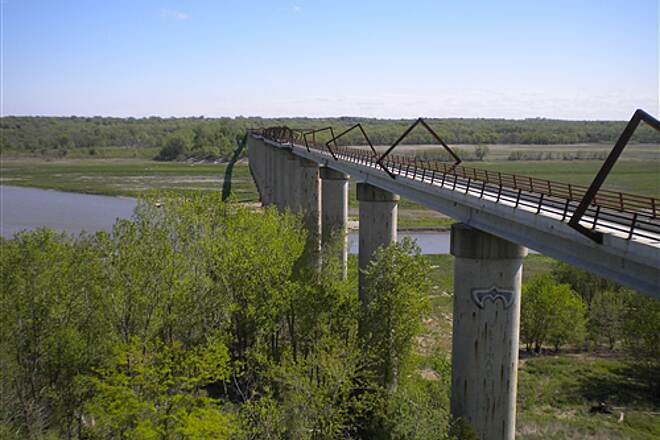 The High Trestle Bridge is one of the more memorable rail-to-trail spots. just off I35. pull off! Decided to pull off I-35in Nov 2015 to try this trail. We did a quick ride--so glad we did! Nice picnic area and bathrooms in the parking area. Rode Madrid to x. This trail is so well maintained and smooth. The trail had a good number of walkers on Sunday afternoon. The bridge was great - watch for gusts. Nice signage and info along the trail. 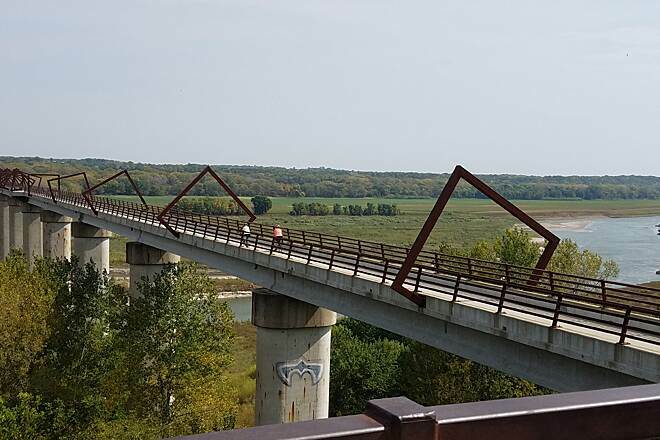 we have done the high trestle trail from woodward to ankeny a couple of times and have heard that the chichaqua valley trail can now be accessed from the high trestle trail through ankeny. wow. for my 58 birthday i decided to try to get from woodward to baxter. left at 6:30 in the morning, finished up round trip 6:30 that evening. had an awesome time, (though my knees are bothering me a little today). did find negotiating through ankeny to be a little frustrating as the signage to get from the one trail to the other is not well marked. i would expect better from the big city. round trip i had 129 miles by the gps on my sportstracker. if you need a challenge i would highly recommend these trails. nice to know my contributions to rails to trails have been put to very good usel plus it is a lot safer than riding on the highways. July 2015A fun trail with plenty of food & drink stops right next to the trail! They just put up another shelter/picnic table rest area near the famous bridge. Good for walkers and riders with plenty of parking but walkers should wear some type of light at night so bikes can see them. Put a light on your dog too! This is a festive trail with lots of nice people. Don't skip the best parts...Slater...Madrid...and Woodward! It gets busy at UF avenue where alot of walkers come on. Great trail! Without the rail being there first this would not be possible. Wonderful views. 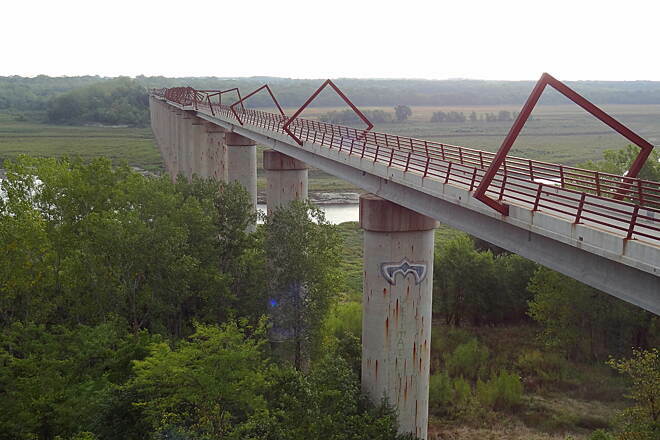 This trail is extremely well maintained. Pavement makes for a very comfortable ride. 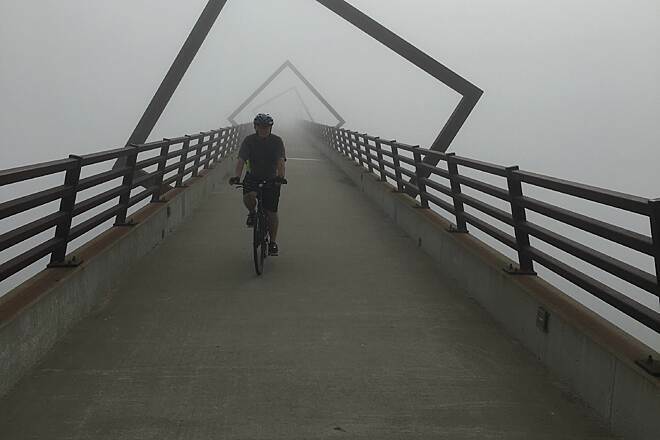 Some of the communities also use bug fog along the trail so if you have to stop (or are not biking), you won't be bitten up. 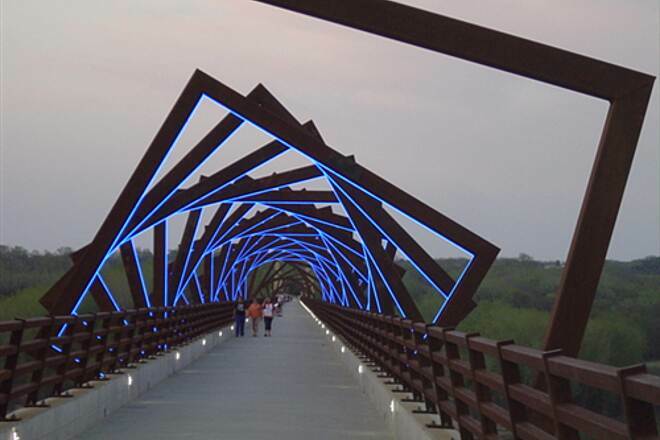 The namesake High Trestle Bridge is also wonderful to visit. The views change dramatically depending on the season and the time of day. 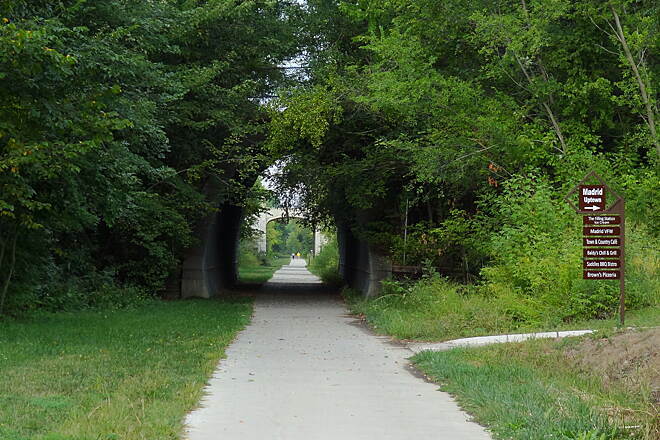 Imagine the maintenance on this trail: culverts, cracks, lights, trees, vandalism. 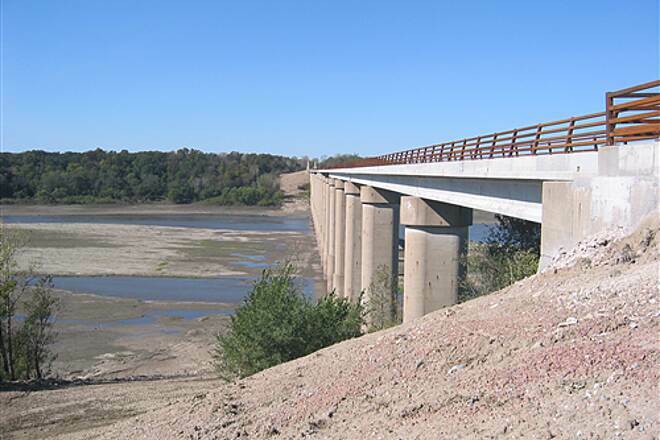 The High Trestle Trail has nine entities that establish the Board or rather referred to as the Steering Committee: Polk Co., Story Co., Boone Co., Dallas Co., Ankeny, Sheldahl, Slater, Madrid, and Woodward chaired by Iowa Natural Heritage Foundation. Each entity has a voting member. A Memorandom of Understanding between the entities establishes a long term maintenance fund sufficient to cover 50 percent of the cost of maintenance. As you ride the trail you see new cement occasionally. Detecting the need and completing this repair has been part of the responsibility of the committee. This is a 'must ride' if you're in the area. The trail is smooth, making it quick and easy to travel on. The map shows parking at 44th street. This is not a parking area, you just pull off the side of the road next to corn fields. There are more designated parking areas near the trestle bridge. I assume there are parking areas at the start and end of the trail but I didn't go to either of them. Riding on a 10 ft. wide, smooth concrete path can't be beat. 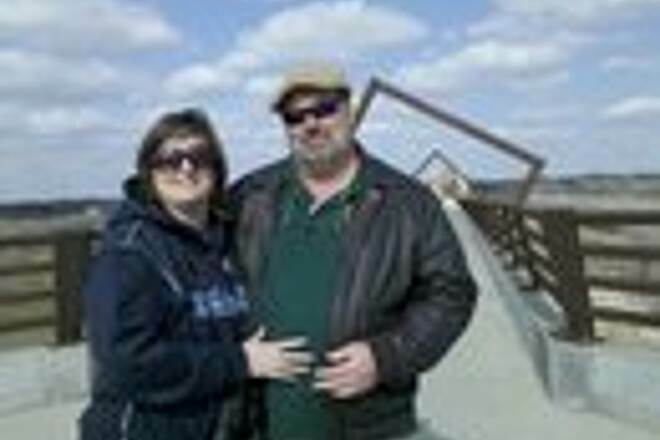 Experiencing the High "Trestle" bridge is an excellent reason to make the trip. Staying in a B & B in Slater put us midway between the Ankeny and Woodward ends of the trail, which basically is located between Des Moines and Ames, IA. The trail is on an old Union Pacific rail bed - a few mild slopes and no hills, sometimes protected by trees or high banks. Mostly farm scenery beyond the trees. We enjoyed a sunny day with mild breezes for 28-mi. round trip between Slater and Woodward. Our time was limited and didn't get to experience the evening lighting of the trestle, so as the title states, this one is one that will plan to return to in the future and go the full length. We started at Woodward end and rode into Madrid. Nice trail head at Woodward. Pretty much a normal rail-to-trail with nice wide paved path. Was a weekday morning and just a handful of other folks on the trail. 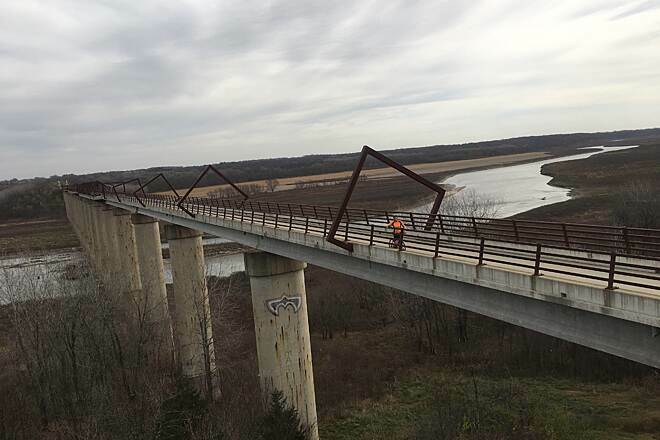 The trestle is really a sight to see. There are a number of information boards posted with history and environment facts. Certainly worth going out the way to pay a visit. 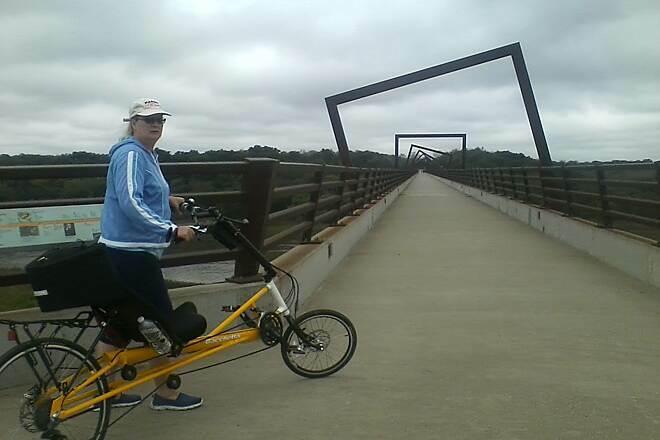 We rode the High Trestle Trail from Slater to Woodward and back on the 4th of July and had a great time. The trail is flat, smooth and wide. There were tons of bikes on the trail and everyone was in a festive mood. We stopped at places along the way for a drink or a burger. We went back to the trail at night to see the lights on the trestle and it was amazing. Can't wait to do this ride again! One of the best trail rides! Don't miss this one! 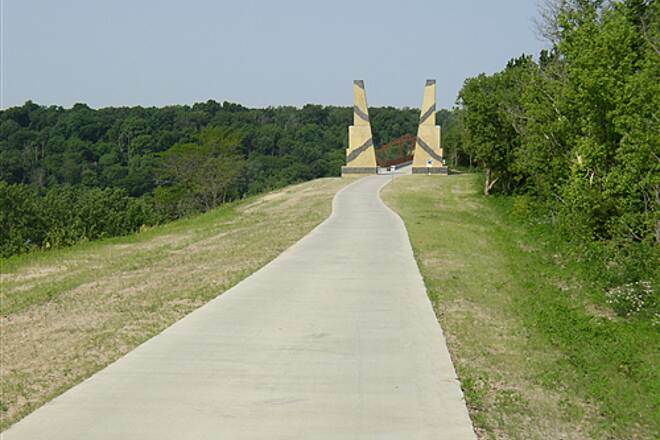 My wife and I drove from Kansas City to ride this trail in mid August 2012. It was approximately a little over a three hour drive ... and well worth it! We rode from Woodward to the "Oasis" and then back. 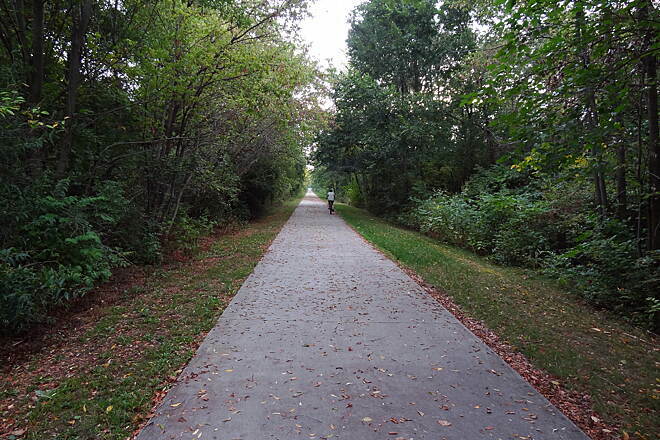 The trail is very well maintained, and is paved the entire length. 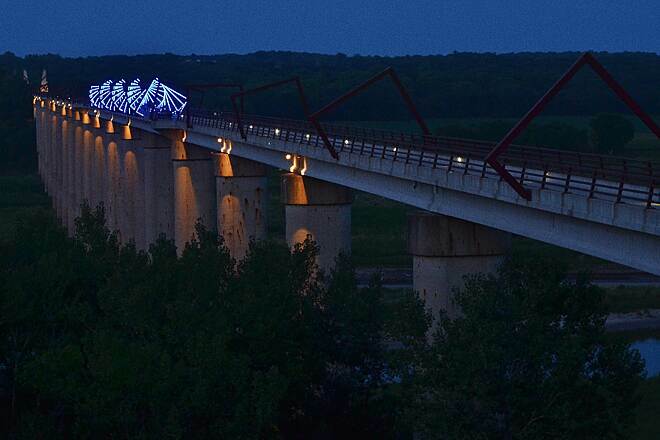 The High Trestle Bridge near Madrid is definitely a sight to behold and a lot of fun to cross. 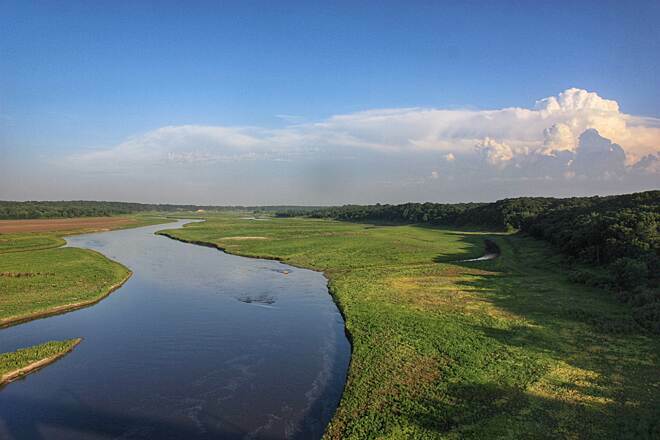 When we went to ride the trail, all of the fields in Kansas and Missouri were burned up from the drought, but along the HTT, everything was so green! It was a very welcomed sight. The ride is fairly easy and flat. We are dying to go back so that we can ride the bridge at night, when it's all lit up. we drove from Minneapolis after reading about the HTB in the paper. It was more than we expected. We camped by Swede point, near Madrid , then rode our bikes to the trail. Remember to bring flashlights to ride in the dark. 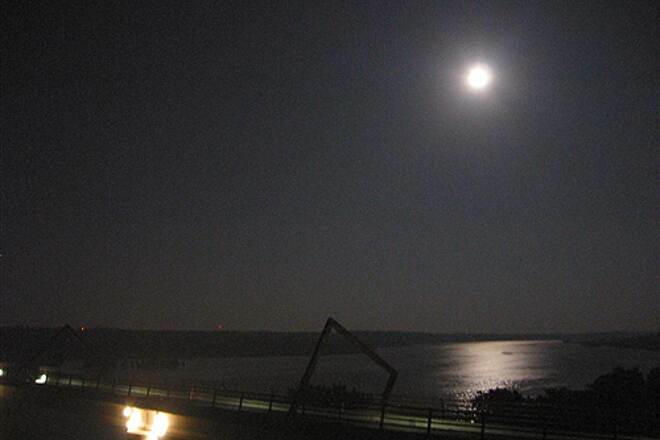 The bridge at night is a must see! There are parking lots that you could walk from. Approx 3/4 a mile or so. We moved down near Polk city for a few days and stayed at a Army Corp of engineer Campground, prairie flower restoration campground, loved it! Rode Neil smith trail,beautiful, but a lot of hills! Bring water and snacks, not many places for water or food. 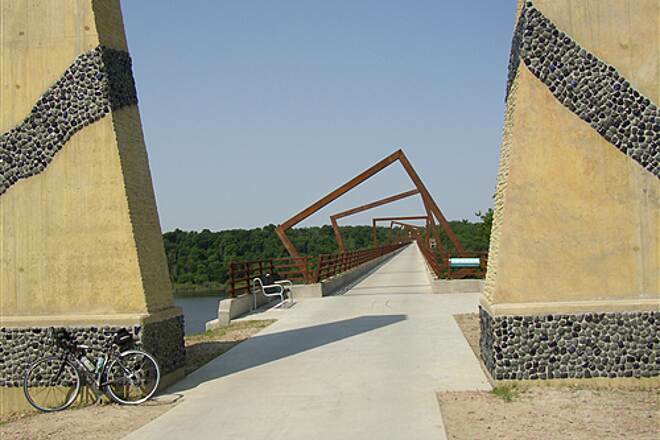 The description under "Parking and Access" describes the High Trestle Trail as being "five miles south of Des Moines". 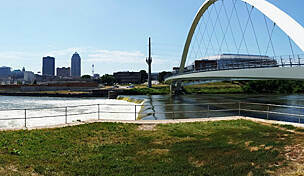 This is not correct; the southern end of the trail is in Ankeny, which is NORTH of Des Moines. This is a spectacular trail that can easily be ridden out and back (50 miles total)in a morning or afternoon. I'm happy to see several businesses springing up near the trail. The Flat Tire Lounge is near the northern end of the trail; the Nite Hawk Bar & Grill is along the trail in Slater. You can work up a powerful thirst riding the trail. These two watering holes can help you slake your thirst. 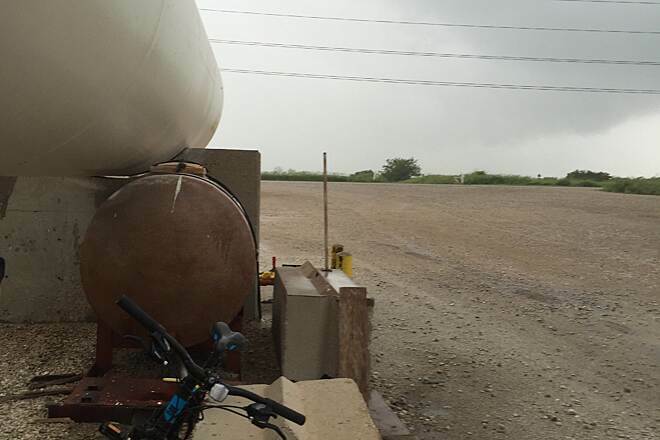 The weather was quite hot in late-June as I began a ride in Slater heading north toward the bridge. Not being from the area I began near the city pool, but didn't see the trail hidden behind a row of tall shrubs. So as I road north the signage was a bit lacking directing me to the High Trestle Trail, so I wound up on the Heart of Iowa trail. Having made a commitment to the HOI trail I rode that trail into the town of Huxley and then returned to Slater. Coming back into Slater the signage heading that way was much better and I found the HTT. The cement pavement was very nice all the way up to the 'bridge'. There is a good amount of open area, so sunscreen is a must. Though I did not stop, the town of Madrid looked to be a good place to find enough sources for lunch, with signs on th etrail giving direcvtions to nearby eateries. The few places where the trail crossed over roadways I encountered very little traffic, so one's safety was not endangered at all. The trail was lightly used on this section of the trail. On the following day, I used the trail from Ankeny up to a point just past the 'oasis'. 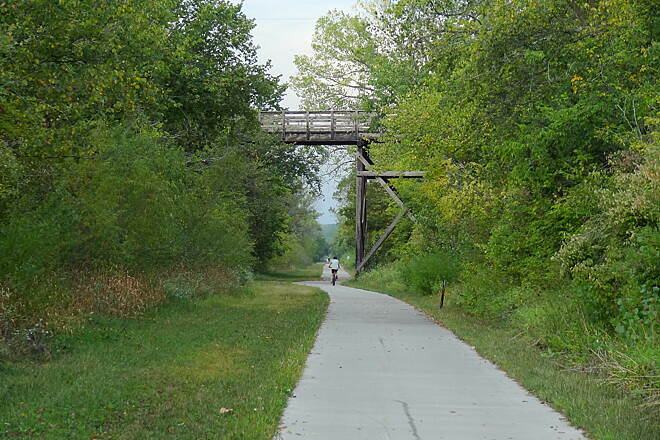 The trail in Ankeny was used by many more people, including walkers, and small families riding with children. It is beat to excersize more care when using this part of the trail. In the evening I decided to drive up to the northern part of the trail to see the bridge 'lit up'. Not me silly, the bridge. I parked at the small parking area, parking at a premium, and rode up to the bridge. It was a lovely evening with a moderate amount of wlakers and cyclists. A local gent told me that a local landowner is going to donate some of his land so that the parking area can be expanded. That would be a welcome addition. All in all I appreciated the trail surface, and the signs at junctions in the trail denoting the distances between towns. It is a trail well worth riding. 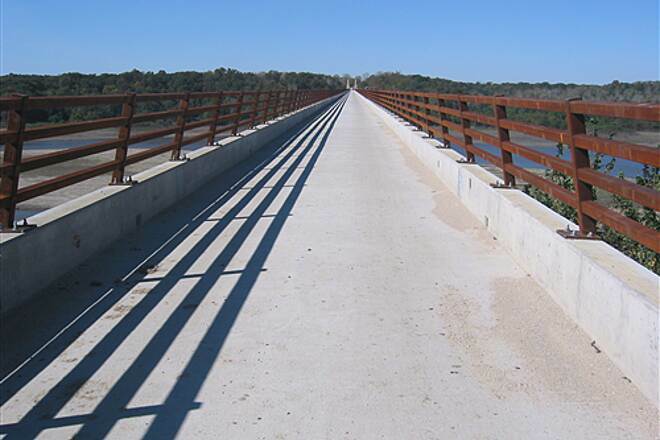 Have ridden the entire trail, it is smooth, has places to stop and eat and the bridge is breath taking. Can't wait to do a night ride. We did the entire trail, Woodward to Ankeny and back, Saturday afternoon. 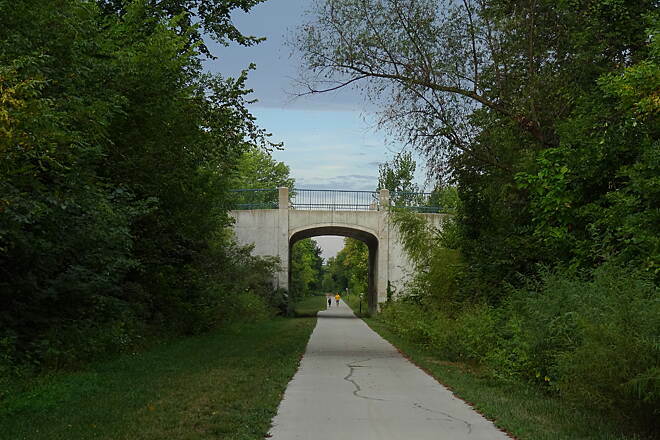 The east-west leg between Woodward and Slater is very scenic with the big bridge, a number of small bridges, and wooded areas along much of the trail. There are a number of fun places to eat in Woodward, Madrid, and Slater. 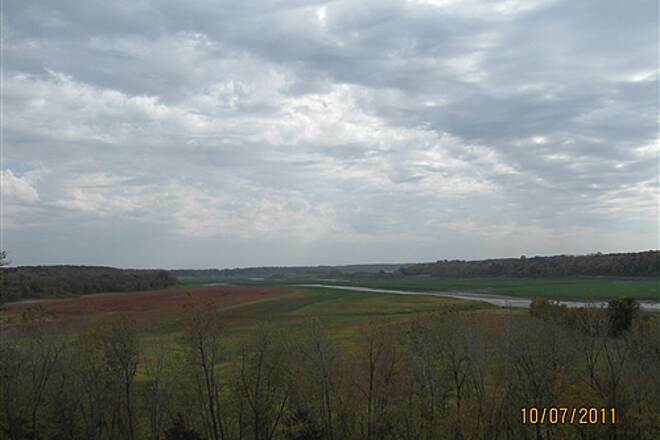 The north-south section between Slater and Ankeny is also pretty but it is more open and susceptible to the wind. 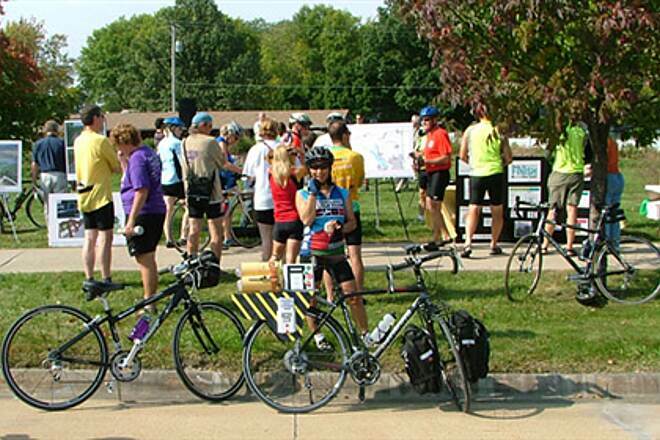 There are a couple of rest stops on this leg but fewer places to eat until you get to Ankeny. The entire trail is concrete and asphalt. 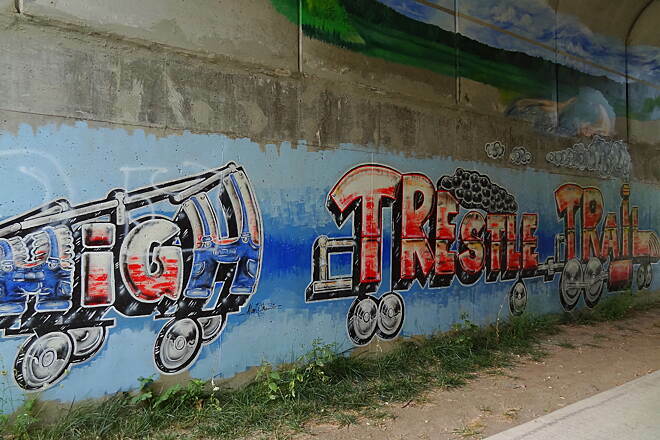 The trestle outside Woodward is amazing. We had a great time. I rode the trail from Madrid to Woodward and back with my wife and daughter, in a trailer. The trail was in perfect shape for our entire trip. 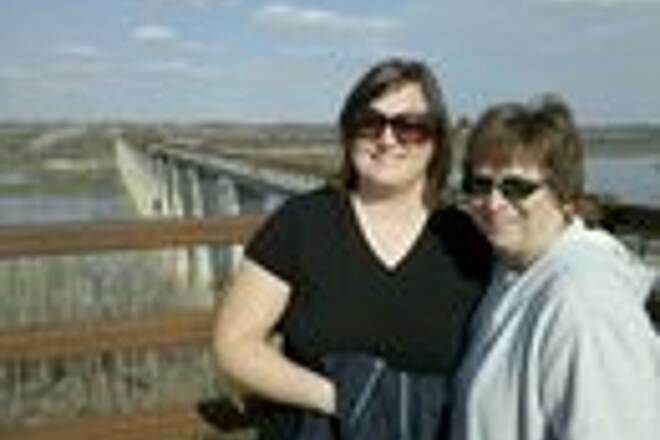 It was a very windy day (gusts over 20 mph) but the trail was very protected outside of the actual bridge. We stopped at Cayanne's, a little mom & pop cafe 2 blocks off of the trail for pizza. Then we turned around and before we left the trail we stopped at the flat tire lounge, which at 10 feet from the trail was full of fellow trial users, and enjoyed a beverage. Overall a great trip the only thing that would have made it better would have been to be able to see it at night, because that looks pretty cool. 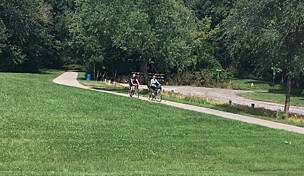 A group of about 15 members and friends of the Wabash Trace Nature Trail board rode the HTT for the grand opening last year. It a beautiful trail that smooth and flat. 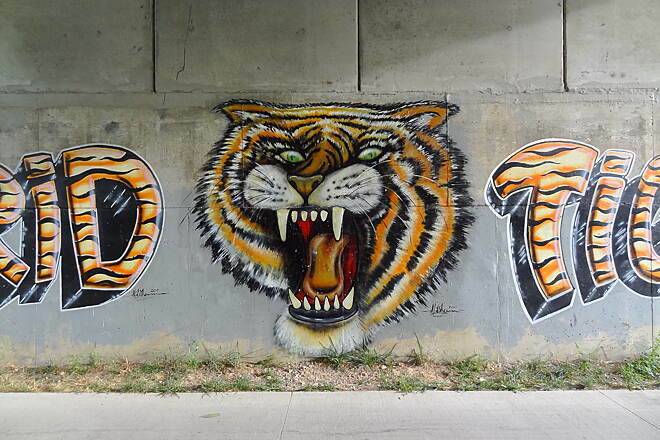 It was great during the day but MUST be seen at night for the full effect. 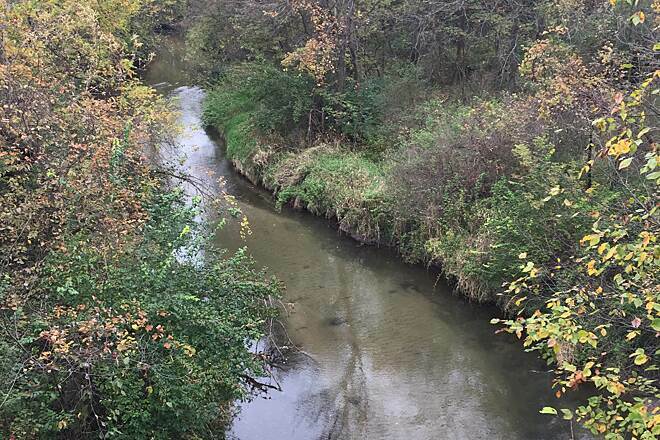 Our thanks to the Iowa Natural Heritage Foundation for their expert work at getting this wonderful project to completion. 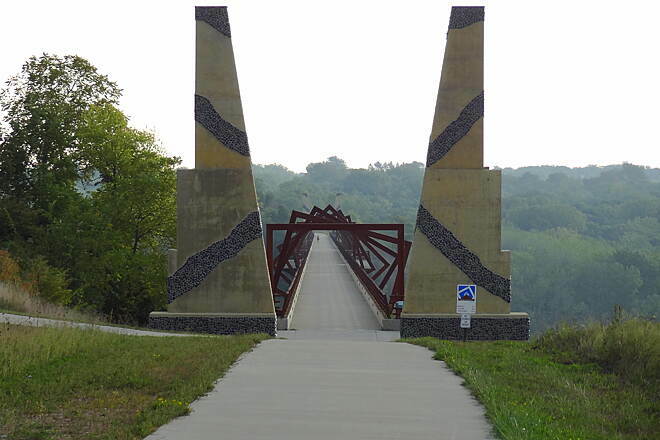 But don't forget to visit the also beautiful Wabash Trace for the great views of the Loess hills of Western Iowa with over 70 bridges and an easy rolling crushed limestone base that is 62.3 miles long from Council Bluffs to the Missouri line. In the summer the canopy of trees make a mostly shaded ride. It was also a trail of the month for Rails-to-Trails Conservancy. 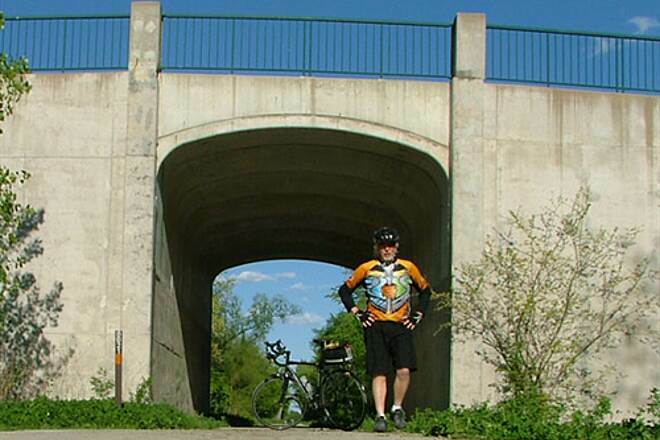 Iowa is a great place to bike with a vast number of great trails. 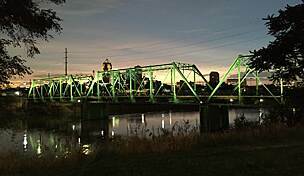 Seven of us went to Woodward just before dusk on Saturday evening Sept 24th and rode to the bridge. 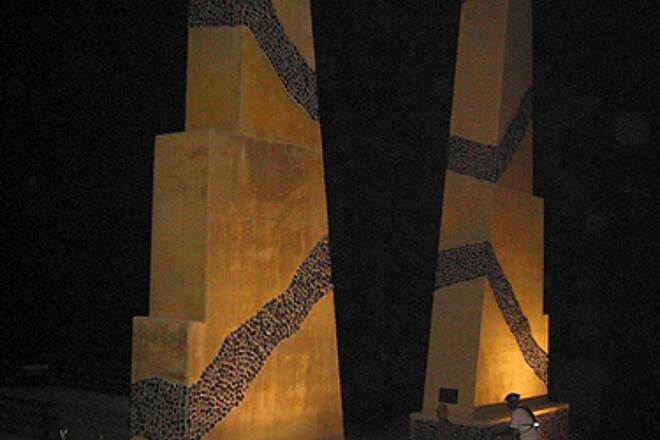 DO NOT miss seeing the bridge at night. Spectacular. 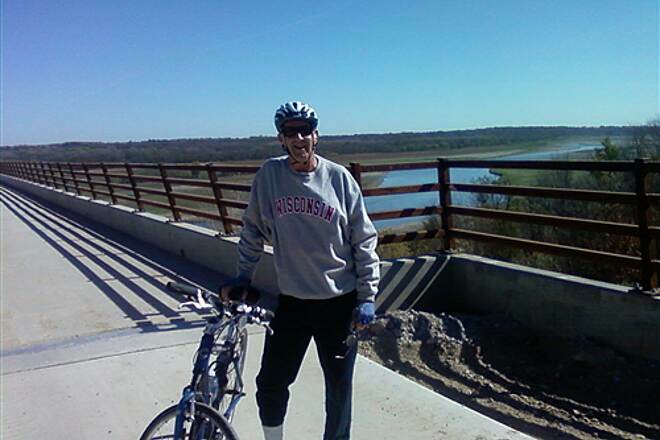 We then rode from Woodward to Ankeny and back on Sunday, Sep 25th. Trail is wide and smooth, even the gravel road crossings are cement. Great lunch in Ankeny at "Leaning Tower of Pizza"
We rode from Ankeny -> Woodward and back on October 7, 2011. The sights of fields being harvested and wildlife made the trip enjoyable and interesting. 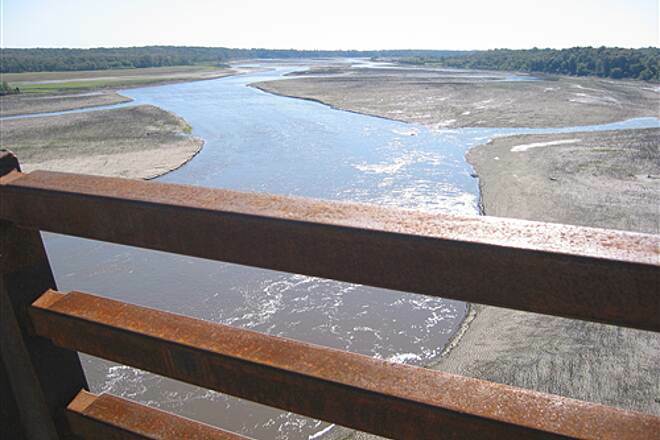 The view of the Des Moines River Valley dressed in its fall colors as seen from the High Trestle Bridge cannot be described. We appreciated the various benches and restroom facilities that were stationed along the way. Do wish there was a water fountain near Slater to refill the water bottles. We rode the trail from Madrid to Woodward and back and then to Slager and back to Madrid during the day. Wonderful trail, very smooth riding. We went back and rode from Madrid to the west end of the bridge after dark. Totally awesome when lit up! Watch carefully for walkers at niight though. Some of them didn't carry lights and were very hard to see. I drove from Kansas City (4 hours away) just to ride this trail. The new bridge is simply spectacular. 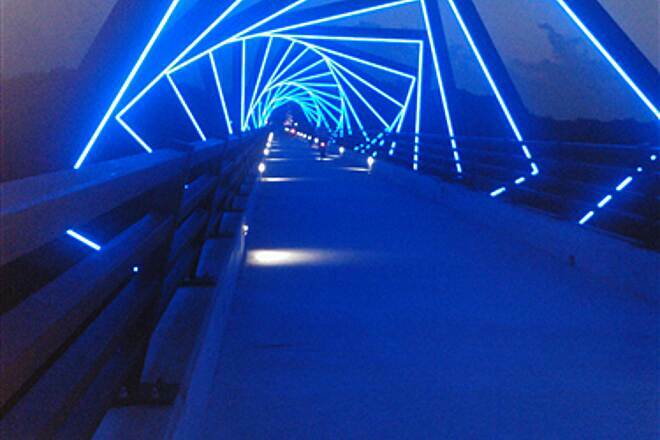 I rode over it about noon, but crossing it during the evening (when it is lighted) would be very interesting. Be sure to stop and read the many informational signs explaining the constuctional details, history, etc. There is a nice observation deck on the west end. I put on at Madrid (huge gravel parking lot, I hope this can be paved in the future) then rode west to Woodward. From Woodward, I rode east to Sheldahl, then returned to Madrid (30 miles total). 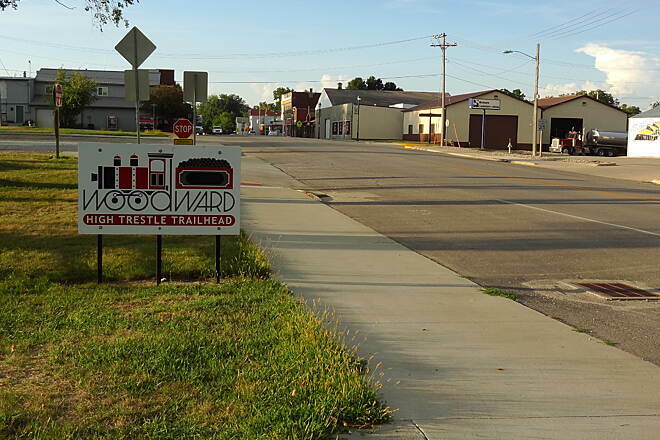 Woodward is a delightful town with many interesting shops, so plan to spend some time there. Be sure to take sunscreen if riding during the day as much of the route I rode has little cover. Rode this trail several times from Ankeny to Woodward. The bridge is quite scenic. Trail has some bike friendly businesses popping up next to it for dining. Trail is mostly rural keep an eye out for the farm with the buffalo.